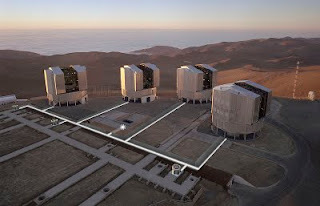 The Very Large Telescope (VLT) is made up of four separate optical telescopes organized in an array formation, built and operated by the European Southern Observatory on Cerro Paranal, a 2,635 meter high mountain in the Atacama Desert in northern Chile. Each telescope has an 8.2 m aperture. 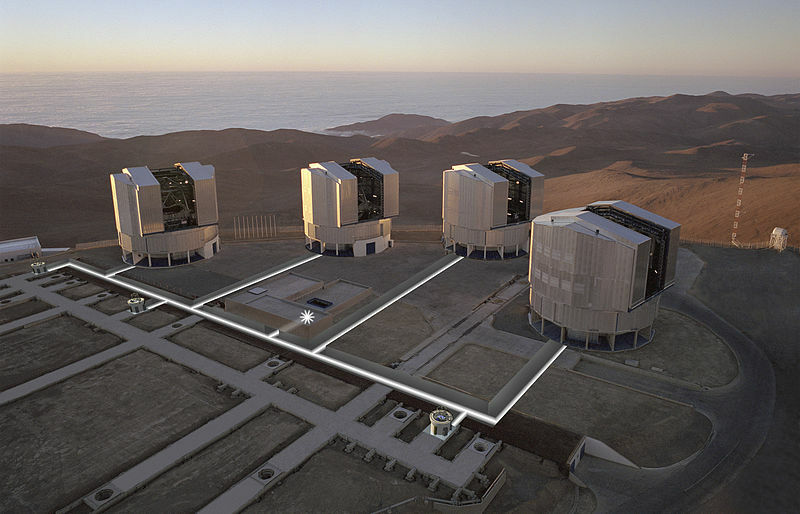 The array is complemented by four movable Auxiliary Telescopes of 1.8 meter aperture. Working together in interferometric mode, the telescopes can achieve an angular resolution of around 1 milliarcsecond, meaning it could distinguish the gap between the headlights of a car located on the Moon. The video below was shot there. I knew we can't see our Milky Way galaxy from here in the North, still surprised. Would be worth the trip south to see such a true starlit night.